NOAA Fisheries has convinced a federal judge that its plan to remove some salmon-munching sea lions from below Bonneville Dam by lethal means is perfectly legal. U.S. District Judge Michael Simon ruled Feb. 15 in favor of the federal agency after the Humane Society of the United States took NOAA to court, trying to curb lethal removal of the marine mammals. The Humane Society argued that lethal removal didn't make sense, since the harvest regimes approved by the feds accounted for four times more spring Chinook mortality than was attributed to the sea lions. In previous litigation, the 9th U.S. Circuit Court of Appeals directed the National Marine Fisheries Service to explain the apparent inconsistency in its policies. In his ruling, Simon said, "the Court concludes that NMFS has reasonably explained any apparent inconsistencies among its findings for two reasons: first, NMFS identified substantive differences among the applicable statutory standards, and second, NMFS identified relevant qualitative differences between the impacts caused by fisheries and the mortality caused by pinniped predation." Simon's decision pointed to the difference in definition of the word "significant" between federal statutes. The judge accepted NMFS' argument that "significant" had different meanings, depending on the statute involved, whether it was the Endangered Species Act, Marine Mammal Protection Act, or National Environmental Policy Act. The judge said plaintiffs did not recognize the feds use differing standards for gauging adverse effects from harvest and sea lions, so the plaintiffs' argument comparing the two results was incorrect. Besides, said the judge, fisheries can be reduced if runs are smaller than expected, while pinnipeds don't adjust their predation rates at all. He also said the agency had developed a reasonable interpretation of the statute at hand, and was entitled to deference, even if the court did not agree with it. 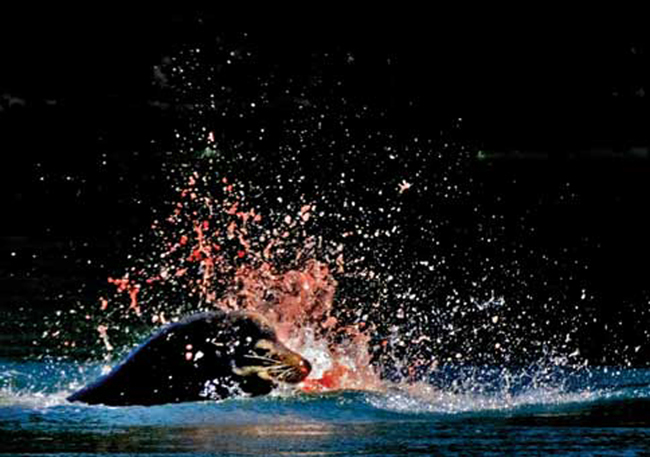 "Plaintiffs argue that the data suggest instead a downward trend in pinniped predation," said the decision. "The data could be interpreted either way, as the number of sea lions present at the dam each year, the average length of their stay, the number of salmonids they are observed to kill, and the percentage of the fish passing the dam consumed by the sea lions has fluctuated over the years. Because NMFS' interpretation of that data is plausible, the Court must accept the agency's reading." Stakeholders in the BiOp case have been interested in how Simon would rule in the sea lion case since he has taken over the hydro BiOp litigation from Judge James Redden, who retired from the case. "The judge's ruling is definitely a win for salmon, hopefully clearing the way for removal of the worst sea lion offenders," said Terry Flores, executive director of Northwest RiverPartners, a coalition of BPA customers and other river users. "While the facts in the sea lion and federal hydro system case are completely different, we are encouraged that Judge Simon afforded significant 'deference' to NOAA on the key issues in the case."